Mindfulness, simply speaking, implies a state where the mind is fully attending to what’s happening in that moment. It is the basic human ability to be fully present, aware of where we are and what we’re doing, and not overly reactive or overwhelmed by what’s going on around us. That might seem trivial, except for the fact that we are so often and so easily distracted from the matter at hand. Our mind takes flight, we lose touch with our body, and soon we can find ourselves immersed in other thoughts about something that has already happened or we may start worrying about the future. Both of these tendencies of course, when they run out of control, can lead to feelings of anxiety - and mindfulness techniques are excellent ways to reduce this. When it comes to worrying and feeling anxious, mindfulness is right there to snap us back to where we are and what we’re doing and feeling. Mindfulness as a habitual way of thinking can be promoted through various techniques - some of which have been popularly termed "moving meditation " which include standing and walking. The practice of mindfulness is also possible lying down but often leads to sleep - still, this can prove a good remedy for insomnia! Mindfulness can also be included in short pauses we insert into everyday life; and merging meditation practice with other activities, such as yoga or sports. Mindfulness is not an unusual state at all. It’s familiar to us because it’s what we already do and how we already are.We already have the capacity to be present in the moment - however we can cultivate and enhance this quality or behaviour with simple practices. Anyone can do it. Mindfulness practice cultivates universal human qualities and does not require anyone to change their beliefs. Everyone can benefit and it’s easy to learn. It’s a way of living. Mindfulness is more than just a practice. It brings awareness and caring into everything we do—and it cuts down needless stress. Even a little makes our lives better. It’s evidence-based. We don’t have to take mindfulness on faith. Both science and experience demonstrate its positive benefits for our health, happiness, work, and relationships. It sparks innovation. As we deal with our world’s increasing complexity and uncertainty, mindfulness can lead us to effective, resilient, low-cost responses to seemingly intransigent problems. Mindfulness when combined with movement - such as walking can prove to be a wonderfully balanced experience, working on principles similar to yoga in combining mind and body as a harmonious whole, working in harmony. This can be both uplifting, energising and also grounding. aking mindfulness part of our everyday life can deepen and enhance well-being, increase resilience and promote a stronger ability to focus. 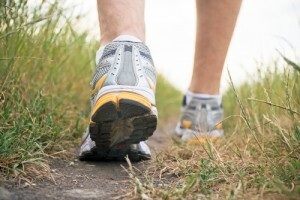 Mindful exercise, such as walking also has the capacity to improve physical health too. To integrate mindfulness into our lives, it’s helpful to have clear practices to create this habit of presence and to develop a natural awareness in life. Modern life tends to be fast paced and hurried, and for many, mostly indoors. Walking mindfully encourages us to connect with the world around us and grounds us in the natural rhythms of day and night, seasons and tides. The steady rhythm of walking strengthens mindfulness naturally, and reminds our nervous system of a more patient, steadier way of life. It is a simple, pleasurable and natural way to relax both mind and body actively. Humans tend to walk a lot. Although we walk less than we used to (evolutionary biologists estimate our ancestors took between 5,000 and 10,000 steps a day), for most of us, it’s still a primary means of getting around – from one room to another; from home to the bust stop or the shops, work or simply to give the dog some exercise. Most of the time walking is simply a means to move from one location to another. Our mind is focused on our destination and what we aim to do when we get there. Our minds can wander though and even when out for a walk in the park , we can find our attention captured by random thoughts, imagined conversation , or we can find ourselves lost in planning ahead. It is very easy to become self-absorbed and miss hearing the birdsong, or seeing a tree in bloom, because we are distracted by our own thoughts. How Can Mindful Walking Be Of Benefit To Me? Most of us learn how to walk in the first year or two of life. Yet once we learn how to do this, walking becomes a largely unconscious process. In a certain sense, to walk mindfully is to relearn how to walk: how to move the body through space in full awareness. It can take time to develop a taste for the simple pleasure of mindful walking yet once we discover how to walk mindfully, it can become a great support for living, allowing us to set aside the thoughts, concerns and dramas of life. Instead, we can relax into the easy, rhythmic movement and find peace and the opportunity to refresh and re~energize ourselves. As our minds can become so easily distracted when we first begin this practice, it can be enormously beneficial to have a Mindful Walking Coach to "talk you through the walk" and encourage you to reflect upon the experience as you go, keeping you in the present and in full awareness, making sure the mind has no room for distractions or concerns. Mindful walking is in fact an active meditation and like meditation can be an enhanced experience when guided. Coached Mindful Walking in the countryside or coastal areas can be arranged by contacting Catherine .